Something's fishy brewing at Selfridges. From May 11 to June 12, the British department store will transform its London flagship into an veritable Atlantis to underscore the plight of our oceans. "Washed Up," a marine-inspired exhibition curated by renowned designer Judith Clark, will illustrate the issue through vintage and avant-garde fashion, including designs from Alexander McQueen (above), Hussein Chalayan, Gareth Pugh, Iris van Herpen, and Philip Treacy. Zip through our slideshow for an exclusive first look. “Project Ocean,” Selfridges’ “art meets action” initiative, first sprang from the head of Alannah Weston, the British department store’s creative director. Together with environmental charities and like-minded artists, designers, and celebrities, Weston and company are leveraging creativity for a cause: our overfished, overpolluted oceans. Washed Up” depicts the fragility of ocean species and their potential—if not eventual—extinction. As part of the campaign, Selfridges enlisted the aid of curator Judith Clark, who’s worked with some of the world’s leading institutions, including the Victoria & Albert Museum, the London College of Fashion, and Palazzo Pitti in Florence. Inspired by Victorian-era “cabinets of curiosity,” “Washed Up” depicts the fragility of ocean species and their potential—if not eventual—extinction. “It is a rare opportunity for a curator of dress to be able to draw attention to such great political importance and urgency,” Clark says. To highlight the urgency for action, the garments and accessories are staged in a desolate tableau of dead coral—seized by customs from illegal smugglers—and driftwood. 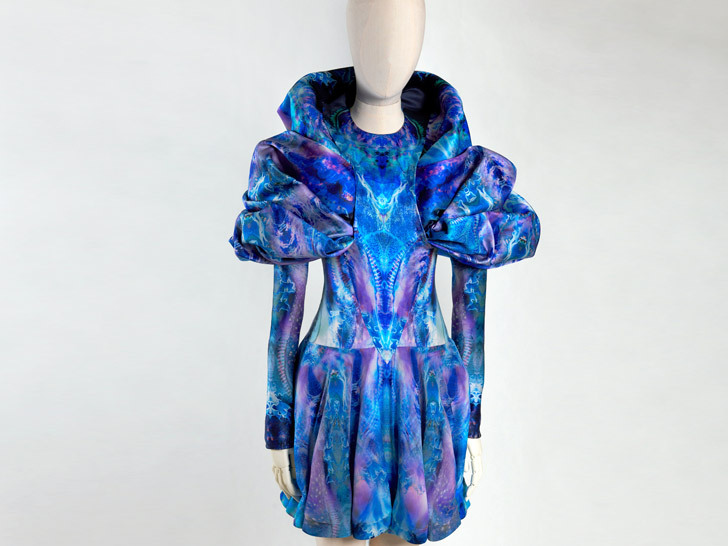 An "oil spill" dress by Abigail Briggs. Hussein Chalayan "Bubble" dress for Swarovski, made from crystal fabric and plastic. To the left, a 1920s embroidered cloche. On the right, a hypothetical 1930s wig commissioned by Judith Clark. A Swarovski-studded swimming cap, made to resemble sea anemone, by Naomi Filmer. 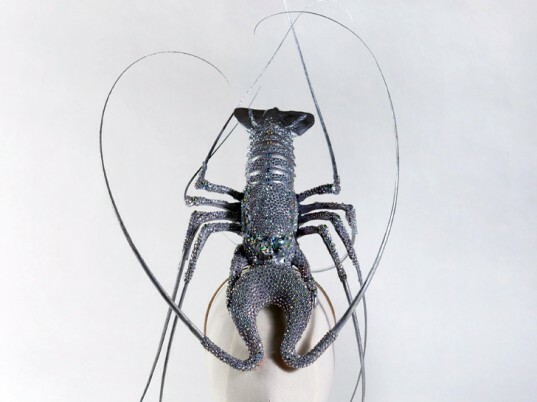 A crystal lobster hat by Philip Treacy, worn by Lady Gaga in 2010.